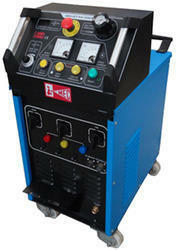 Prominent & Leading Manufacturer from Jodhpur, we offer arc inverter battery and miniature arc spray system. To meet the precise requirements of our customers; we are involved in offering a supreme quality range ARC Inverter Battery. This battery is widely used for its uniform and controlled energy transfer onto the wire being sprayed. It is available with us in varied specifications. The offered product is made using high-grade components and modern technology under the supervision of adroit professionals. We ensure stringent quality check of our products to meet the set industrial standards. New technology for power supply in combination with highly accurate wire feed and modified air cap geometry. Allows controlled and uniform energy transfer onto the wire being sprayed. Flexible energy transfer based on application. Top tilt opening for easy access of control panel. To meet diverse requirements of our valued clients, we are engaged in offering superior quality Miniature ARC Spray System. This system is designed for onsite Zinc or Aluminium spray work, gun is light weight most suited for hand held. In tune with different requirements of our valued clients, we provide this spray system in several specifications to choose from. Tested on diverse parameters, we provide this spray system to our clients within promised time frame at most genuine rates. 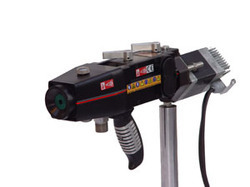 The ARCJET-99 ED model gun is operated with a 24V DC semi servo motor to ensure safe working. Light weight therefore easy to hand operate. The encoder feedback received from the semi servo motor displays precise wire feed speed.